Thats the biggest Wombat i have ever seen........Did you use a Lazzoroni cartridge for that......::::::???????????? No, just a one 165gr Serria HPBT out of my 06 and it exited out the other side. 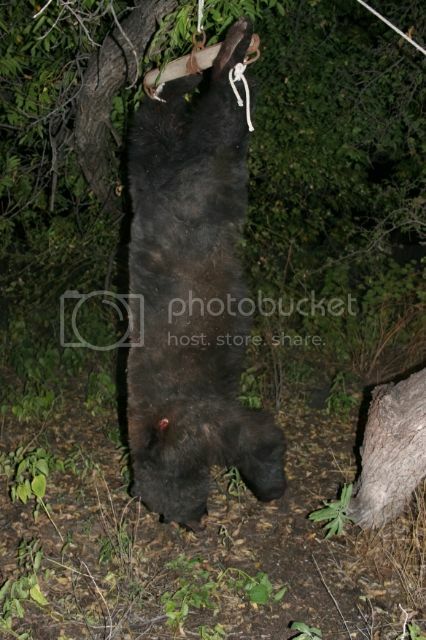 Black bears are not that hard to kill especially if the shot is place in the appropriate place.